Astronauts Terry Virts and Samantha Cristoforetti were in the U.S. Quest airlock conducting airflow monitor tests, measurements and calibrations. The tests were part of the Airway Monitoring experiment that is looking for possible indicators of airway inflammation in astronauts during spaceflight. Their crewmate Anton Shkaplerov worked in the Zarya cargo module sampling equipment surfaces for microbial analysis. He also photographed the condition of the surfaces inside the Zarya module. Their homebound crewmates Expedition 42 Commander Barry Wilmore, Soyuz TMA-14M Commander Alexander Samokutyaev and Flight Engineer Elena Serova practiced a Soyuz descent drill ahead of their March 11 departure and landing in Kazakhstan. 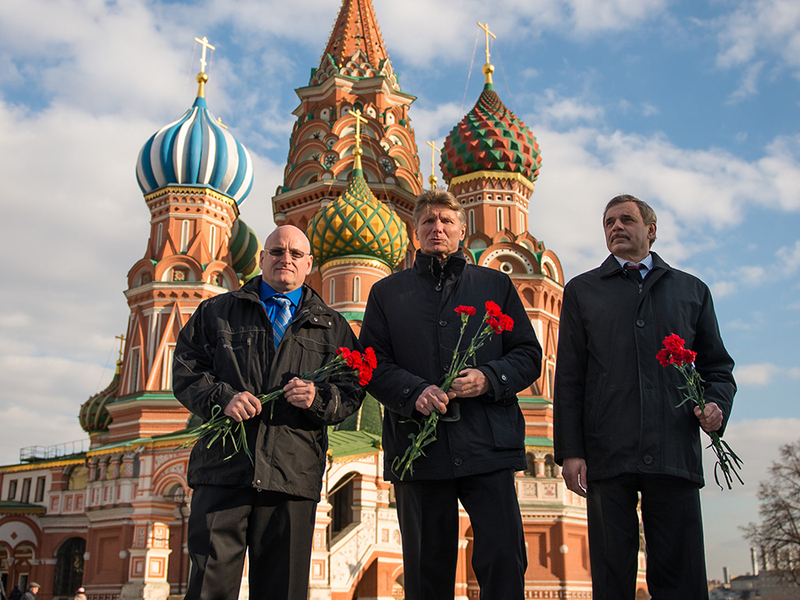 The next trio of space station to crewmates to launch to the International Space Station conducted a news conference Friday then laid flowers at the Kremlin Wall at the Red Square in Moscow. One Year crew members Scott Kelly and Mikhail Kornienko along with Soyuz TMA-16M Commander Gennady Padalka are set to launch March 27 to join their Expedition 43 crewmates.